If I have not said it before, or if you have not figured it out yet, I am a huge fan of In-Fisherman, http://www.in-fisherman.com/ . I devour all of their materials, magazines, books, videos, TV shows, website, etc., etc. Last February, Doug Stange, Editor-in-Chief of In-Fisherman had an “Inside Angles” story in their magazine that really got me thinking. His story was on “national fishing treasures”, fisheries that are so unique and special that they deserve designation and treatment like national parks. Fisheries as unique and special as Yosemite National Park or Yellowstone National Park (which has some “national treasure” fisheries within the park). In that “editorial” Doug noted that he had traveled and fished extensively and there were a few fisheries that stood out above all the rest. He mentioned fisheries like the Red River channel catfish fishery; the Columbia River white sturgeon fishery; the Trinity River alligator gar fishery; Lake Fork largemouth bass fishery; and Rainy River lake sturgeon fishery. In Doug’s opinion those fisheries were examples of rare and unique fisheries where anglers could catch truly monstrous and special fish. He noted that such “treasures” were worthy of special care and respect, places where “populations of impressive sportfish must be nurtured and protected”. His thoughts got me thinking on a more local level. I have not had the opportunity to travel North America and fish like Doug Stange has (would love to fish those fisheries he listed! ), but I have managed to travel all of Nebraska and sample the great variety of fishing opportunities our state has to offer. One thing I always say about fishing in Nebraska is that we may not have as much water as some of our neighboring states, but Nebraska truly is a place where “east” meets “west” and “north” meets “south”. We have tremendous diversity in our state’s geography and that is reflected in the diversity of game and fish we have in Nebraska. Somewhere in Nebraska you can catch everything from brook trout to flathead catfish; redear sunfish to muskellunge. So, what about Nebraska’s “Fishing Treasures”? Do we have any fisheries that are special? unique? worthy of a “fishing treasure” designation? places worthy of nurturing and protection? ABSOLUTELY!!!!! Here is a list of what I would consider to be Nebraska’s Fishing Treasures; fisheries that are special, unique, worthy of special treatment, respect and management. I realize this stretch of water is very difficult to access and is entirely privately-owned. It has been years since I have fished any of it. But I will guarantee the first words out of most folk’s mouth upon reaching the bottom of the canyon, upon dipping their feet in the holy waters of the Snake, ” I can’t believe this is in Nebraska!” Since the building of Merritt Dam, the stretch of the Snake is essentially a tailwater trout fishery. As with most tailwater trout fisheries around the country the Snake below Merritt is very productive. Both brown and rainbow trout can be found there, and that stretch of the Snake is the home of our 20-pound 1-ounce state record brown trout. I have fished some trout fisheries in Wyoming and Montana, and the Snake River below Merritt Reservoir takes a back seat to none of those I have fished. Like most streams and rivers in Nebraska there are some issues with water levels and releases, but for the most part the Snake below Merritt has good water quality, is some of the most rugged and pretty country in the state, has lots of wildlife and supports the best cold-water trout fishery in the state. All those reasons make it one of Nebraska’s Fishing Treasures. I would love to see at least some of this stretch of Snake River someday open to public access, but for now that is just a dream. If that dream would ever come true, I believe that stretch of river should be protected and managed according to its unique and special status. Since I am making this list up; might as well include Merritt Reservoir itself. The Snake River above Merritt also has a few trout, and it provides Merritt with a consistent supply of clean water. Even during drought conditions there is plenty of water flowing into Merritt. Merritt fills on an annual basis regardless of the previous summer’s irrigation drawdown. Merritt is relatively large (2900 acres at full pool) and has some diverse habitat; given that and the consistent supply of clean water and you have one of the best multi-species waters in the state. Merritt is consistently one of the state’s best walleye fisheries, best muskie fishery, northern pike, big channel catfish, a few big white bass, surprisingly good smallmouth and largemouth bass numbers along with a variety of panfish, bluegills, crappies and yellow perch. With the variety of species and habitats there is something for every angler regardless of their favorite fish or favorite way of fishing. 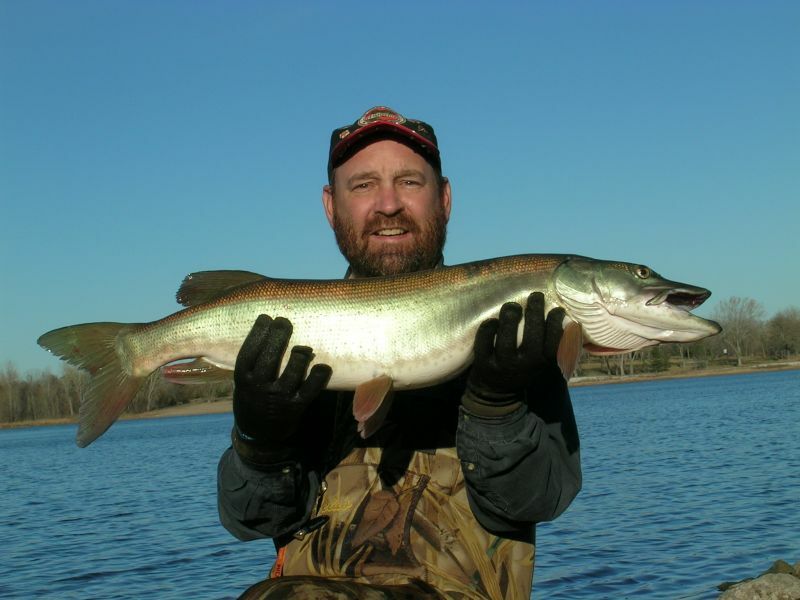 Merritt is the home of the hook & line state record muskellunge and channel catfish. Fishing on Merritt is equally good on the ice or open-water. Another thing I love about Merritt is that it is nestled in Nebraska’s sandhills, our most uniquely-Nebraska land feature. It is quiet, beautiful and truly a place to get away from it all. The state’s largest reservoir would have to be included on a list of Nebraska Fishing Treasures. McConaughy has been the fishing destination for untold numbers of Nebraska anglers over generations. As McConaughy has aged its habitat has changed; through its history it has offered excellent panfishing, rainbow trout fishing, striped bass and a variety of other species. Currently, McConaughy is perennially one of the best walleye waters in the state and usually one of the best waters in the state to catch trophy walleyes. 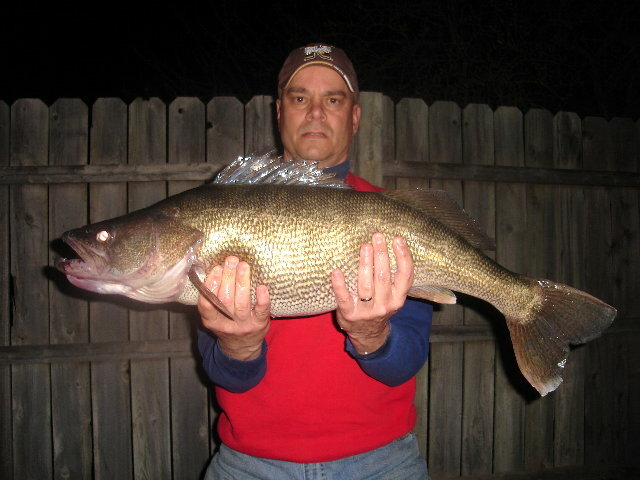 The Nebraska hook & line state record walleye was caught at McConaughy and that record was nearly eclipsed this spring. A new state record walleye may be swimming in McConaughy’s waters right now. 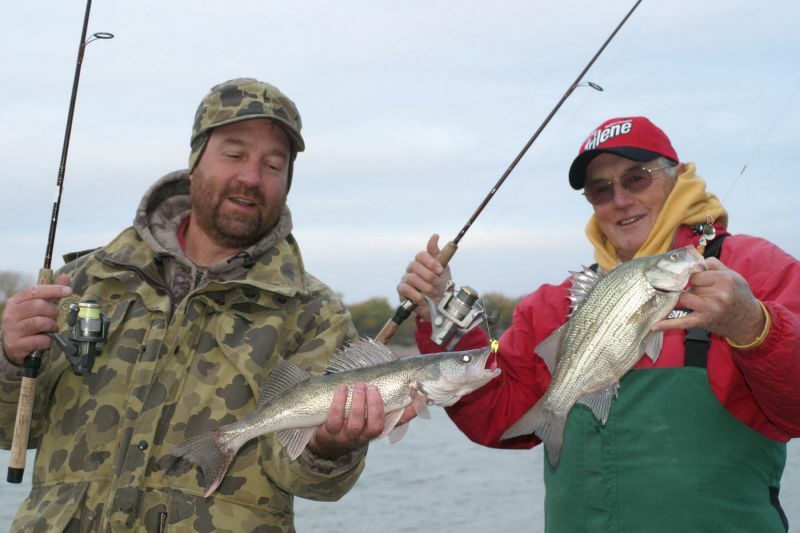 McConaughy is another multi-species fishery offering excellent wiper, white bass, and channel catfish fishing in addition to walleyes. Smallmouth bass haunt the rocky habitats of McConaughy and with rising water levels and newly flooded habitat McConaughy’s fishery will no doubt undergo more changes in the coming years. Likely there will be a boom in panfishing again on McConaughy as well as more northern pike. Of course we all know that the McConaughy fishery is at the mercy of water levels. We recently suffered through several years of drought, but water levels are looking MUCH better at McConaughy now. No one can predict future water levels, but given relatively good water levels there is no reason McConaughy cannot continue to be a fishing treasure for many more generations of Nebraskans. I am afraid that many think all of the Missouri River reservoirs belong to the Dakotas. Most of them might, and the last one, Lewis & Clark is on the Nebraska/South Dakota border, but it is our water too! And what a water it is. 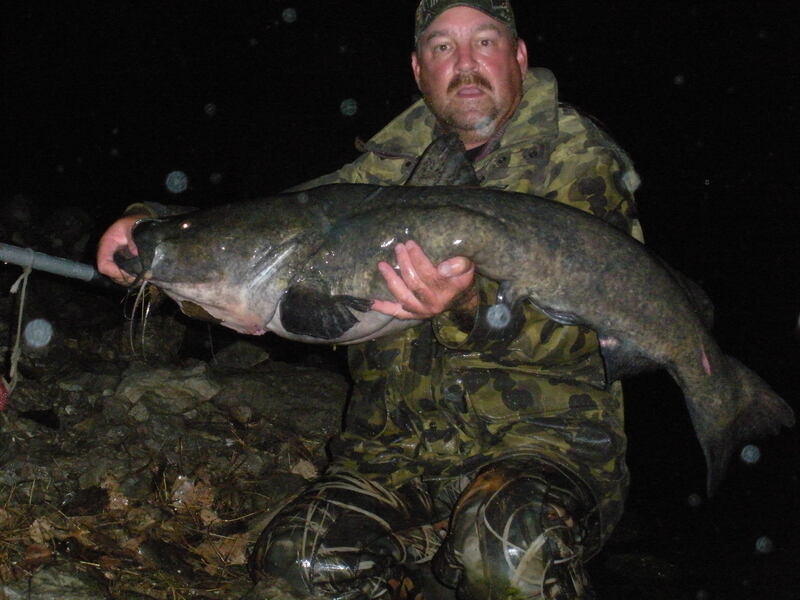 Lewis & Clark Reservoir itself is an excellent fishery for catfish, walleye, sauger, smallmouth bass, big white bass and a variety of other species that can be found in the Missouri River. Lewis & Clark is actually as large as Lake McConaughy, but somehow does not count as Nebraska’s largest body of water because it is border water? Besides the 30,000 acres of water in Lewis & Clark, the river above the reservoir provides great fishing all the way into South Dakota. That stretch of river is unchannelized and for the most part exists in a more “natural” state; one can imagine Captain Lewis, Captain Clark and their expedition venturing up and back down those waters hundreds of years ago. Yes, since it is unchannelized there are shifting channels and sandbars, but it also means a diversity of productive habitats. Walleye and sauger fishing is excellent and this water is Nebraska’s best smallmouth bass fishery. In addition there are acres and acres of backwater habitats to explore and to catch crappies, largemouth bass, rock bass, northern pike and who knows what else. I am sure a person could spend years exploring and catching fish on this stretch of water and never get bored. I am also sure in the process there would be a lot of exceptional fish caught. Water levels depend on water releases from Ft. Randall Dam in South Dakota and they can be variable. Those releases can have a negative impact on the fishery, but there is usually fishable water. Again another reason this water makes my Nebraska Fishing Treasures list is the scenery is spectacular. I already mentioned that the sandhills are “uniquely Nebraska”. Nestled in those sandhills are some unique and incredibly productive natural lakes. 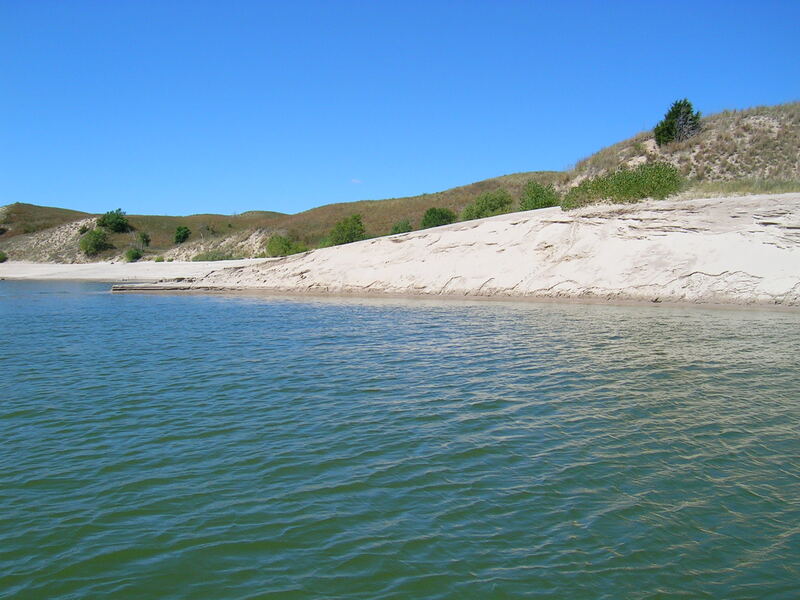 Nebraska has very few natural lakes, standing bodies of water that were NOT created by man, and that fact alone makes the sandhill lakes fishing treasures. Some of those sandhill lakes are too “salty” to support fish, but others are fed by abundant groundwater and those lakes provide some of the best panfishing to be found anywhere on our continent. 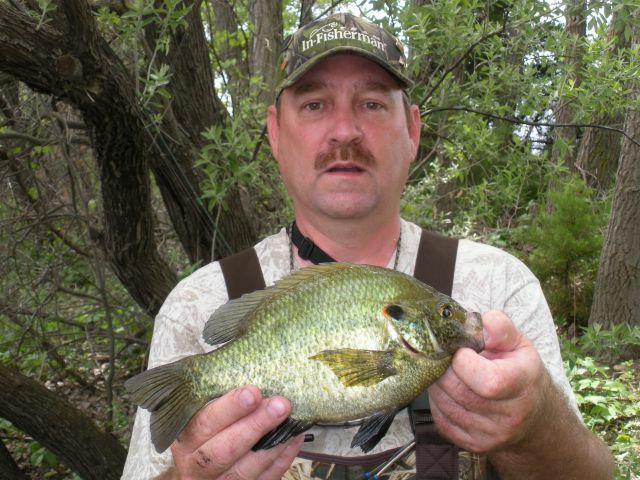 Some of Nebraska’s sandhill lakes literally produce bluegills as big or bigger than any other place on earth. Yellow perch fishing can also be fantastic and a few of those sandhill lakes have black crappies as big as garbage can lids. But that is not all . . . some of Nebraska’s sandhill lakes support pike populations in abundance and they can produce some of the fattest, prettiest largemouth bass you have ever seen. As a rule the sandhill lakes are relatively shallow and incredibly productive; fish inhabiting those waters typically have phenomenal growth rates and body condition (i.e. fatness). Because of their shallow depths the sandhill lakes can be choked with an abundance of submerged aquatic vegetation during the summer. For that reason fishing is usually best in spring, early summer and fall, but most Nebraska anglers will tell you the very best time to fish the sandhill lakes is through a hole in the ice. The sandhills region of Nebraska is mostly unaltered native grassland. With few exceptions those hills and the natural lakes exist now in the same condition they have existed for hundreds if not thousands of years. One might say that some of the sandhill lakes have already been granted “fishing treasure” status as the Crescent Lake and Valentine National Wildlife refuges already include some of the best of these waters. I hate to say it, but I hesitated to include any southeastern Nebraska waters on my list of Nebraska Fishing Treasures. There is not enough fishing water in southeast Nebraska for the population that lives in that part of our state. There is not a body of water in eastern Nebraska that is not fished hard. But in spite of that Burchard Reservoir continues to consistently produce some of the best largemouth bass fishing in the entire state. Burchard is actually a relatively old reservoir, but has experienced very little siltation over the years and continues to have excellent water quality and habitat conditions. “A lake is a reflection of its watershed” and Burchard is the best example I know of that axiom. The reason Burchard continues to be an excellent largemouth bass fishery in spite of its age and fishing pressure is the catch and release of almost all largemouth bass caught there (a 21-inch minimum length limit is in effect), and a watershed that is comprised almost entirely of native grass. Burchard is a gem and I have often wished we had another dozen reservoirs in eastern Nebraska just like it. In addition to the excellent bass fishing Burchard offers some good fishing for bluegills, black crappies, and channel catfish. There is a remnant population of yellow perch that continues to survive in Burchard and a few walleyes still swim there too. Burchard sits in Pawnee County which in my opinion is another one of those unique, beautiful parts of our great state. In the early spring anglers can be serenaded by “dancing” prairie chickens and gobbling turkeys. 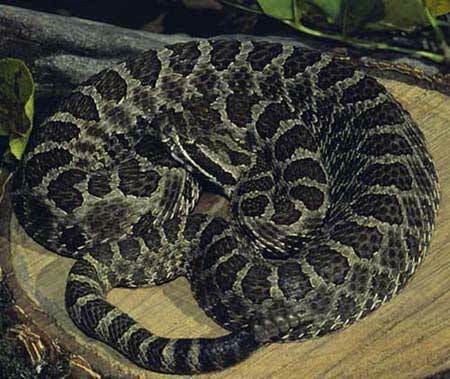 There is also a chance to encounter one of the state’s prettiest and uncommon reptiles, the massasauga rattlesnake. Anytime I find a rattlesnake, I know I am in good country. Obviously this is my list, and you might argue that I have been somewhat arbitrary in choosing what I consider to be Nebraska’s Fishing Treasures. I tried to pick waters that offer a variety of fishing opportunities for a variety of species. I tried to pick waters that offer those opportunities on a consistent basis. I tried to pick waters that offer exceptional fisheries and in some cases unique fisheries. I have other waters in mind that I would consider adding to the list if their fishing opportunities were more consistent. Elwood Reservoir would have made this list in a heartbeat if it were not for the recent low water levels during the recent drought. Elwood is another body of water that offers excellent water quality, habitat conditions and fishing for a variety of species of fish. Besides the quality fish, the absence of speed boats, jet-skies and water-skiers makes Elwood a fishing treasure. Guarantee me consistent water levels in Elwood, no more minimum pool levels for extended periods when we hoped to have just enough water added to the reservoir to keep the fish alive, and Elwood makes my list. I would say the same thing for Box Butte Reservoir in the Nebraska panhandle. Box Butte also has great water quality, great habitat and a variety of fish species. 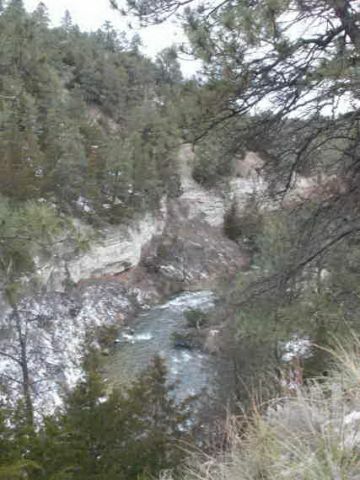 But once again flows in the Niobrara River above Box Butte have become less consistent over the years and that means the fishing is less than what it could be as well. 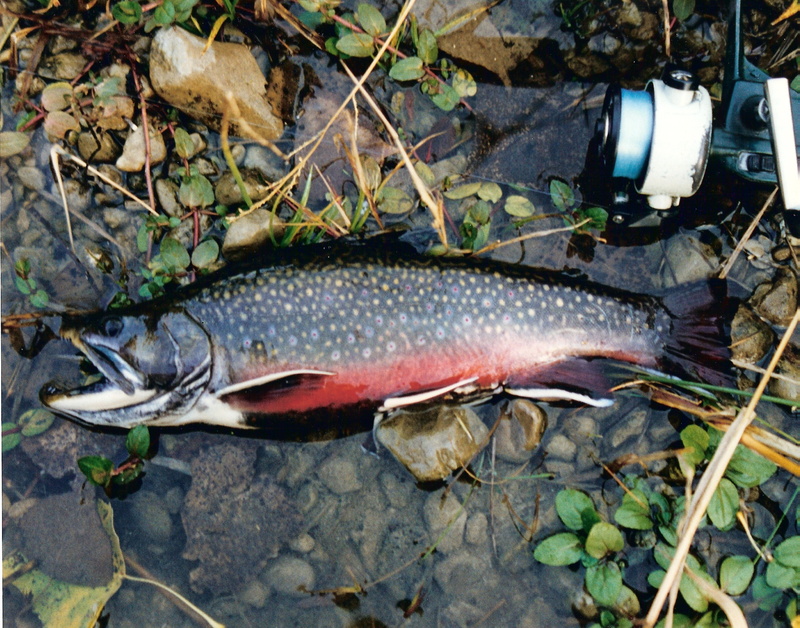 I can think of at least a handful of cold-water trout fisheries that should be considered state fishing treasures; East Branch of Verdigre Creek, Plum Creek, Long Pine Creek, Soldier’s Creek, Ninemile Creek, Squaw Creek, Schlagel Creek. I could have added those to the list, but can think of some deficiencies that keep them from being all they could be; water quality, water quantity, access, habitat conditions, fishing pressure, and others. In most cases those deficiencies are problems that can be addressed and then those waters would deserve listing. You are free to disagree with my list and free to add other waters to the list. I had no agenda in making such a list other than to call attention to some of the great resources we have in Nebraska. I believe that the more people appreciate our resources the better they will take care of them. I believe every one of the places I listed, and more, deserve our highest respect. I also believe it is appropriate to recognize the value in such resources above and beyond what we can get out of them. I would hope that our use and management of all of Nebraska’s fisheries resources reflects that appreciation and respect. There is 160 acres of the Snake for sale right now. Perhaps the state should purchase it! How much river would be included in 160 acres? Where is it? Hit the link. There is a quad map and aerial included. 1/4 mile stretch. Looks like a good bend. I am buying my lottery ticket!!! I have looked at some plat maps, I know where that section is. I am afraid from a public access standpoint it would not rate very high because the only access would be from the west. There just ain’t an easy way to get there. The lakes and streams you picked are top-notch not only for fishing but also for family get-aways or vacations. Nebraskan’s are so lucky to have these awesome waters within our state. Who would ever guess we have these waters and fisheries in Nebraska?